A CMP addressing the impact of the construction project on the area around it, where the plan layout and content may follow a fixed format defined by the municipality concerned. The best plans are plans made with the finished construction in mind. That means being able to visualize the future building or structure and its environment, and the building process to get there. The plan can then be checked against the objective to address parts that are missing or that are redundant. Construction projects are often complex matters. Getting a plan in harmony with an objective, while still meeting customer requirements, is often an iterative process of comparison and adjustment until everything lines up. Although this CMP is often produced by or on behalf of the client, a contractor may provide input in a number of ways. Now that “Design-Build-Operate” agreements are becoming popular, a contractor may be involved from the beginning to define aspects of business benefit with the client. The contractor’s documents concerning schedule and costs may appear in the plan as addendums or references. 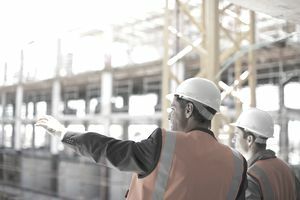 For the construction phase and activities linked to it, a contractor can prepare a construction management plan to detail the project schedule and costs. It includes the timing of the individual construction tasks, breakdowns of the projected costs (and, therefore, the projected profitability), and information about technologies and materials to be used. As projects grow in complexity, both clients and contractors may use these kinds of software and exchange data and files between one another. BIM (building information modeling) software can federate all the different information effectively to make an even more extensive CMP. This kind of CMP also typically requires submittal in advance with a pre-defined period for approval. The software programs above (“Project Management” CMP) can help manage the process (project management, for example) and provide relevant information (CAD construction site plans, for instance).